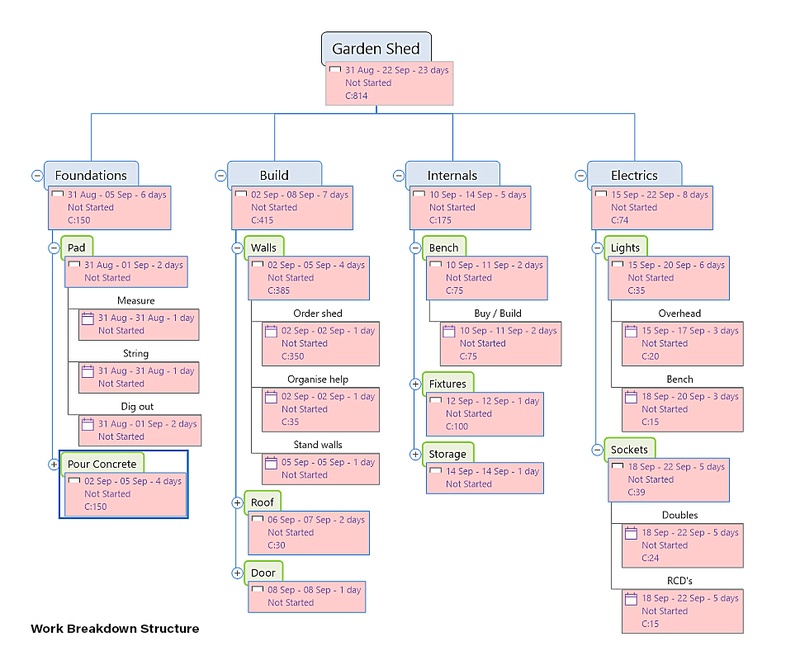 During project scope management, a Work Breakdown Structure will be produced. This is a full breakdown of all of the work activities that will be required to deliver the project. It is broken down into groups of work and then individual activities within those groups. A good example to illustrate this breakdown is the construction of a garden shed as shown below. This shows the work packages broken into activities. This example can de adapted to suit any project.